forget about these sandwiches. It's just that I haven't had much of an opportunity to get to them lately. The following subs will you collect from my uploads are “Roast beef & Cheese” and “The Traditional Ham Sub”. 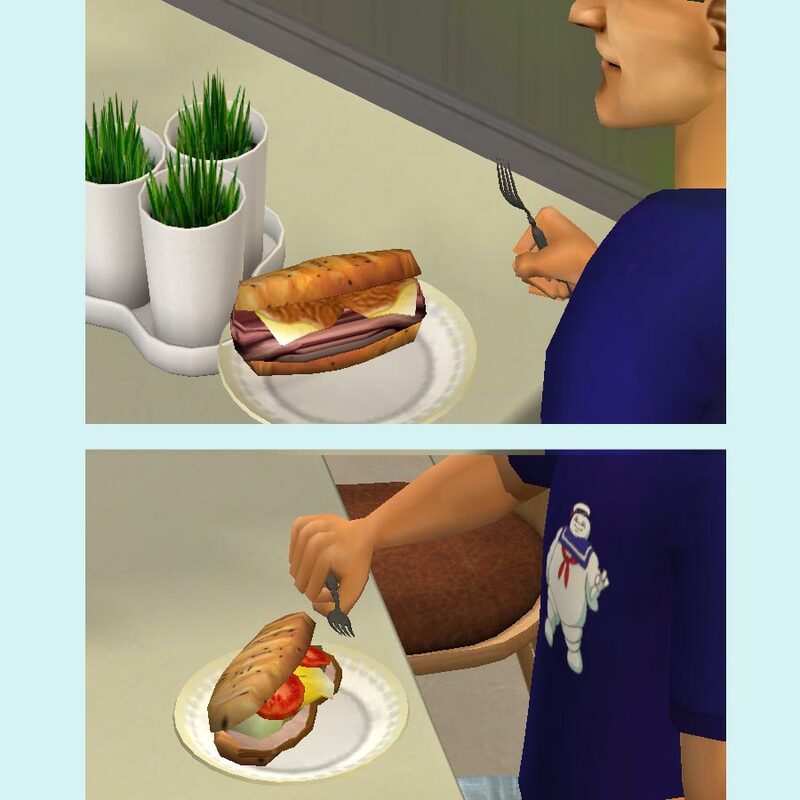 These subs should be much lighter on your sims tummies verses the hearty meatball sub. These subs were cloned from the Lobster Thermidor just as my recent meatball sub. All of the subs that I've made will be served for lunch and can also be served from the make/make many tab. My custom subs have their own tab during lunch time of the day. 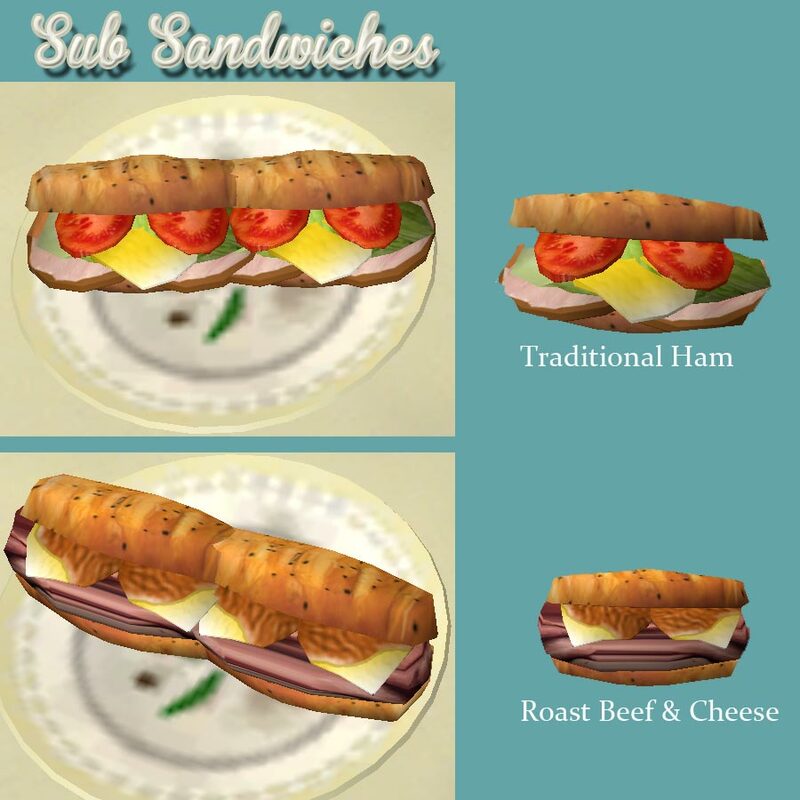 The sub sandwich tabs should say, “Serve Sub” or “Have Sub”. 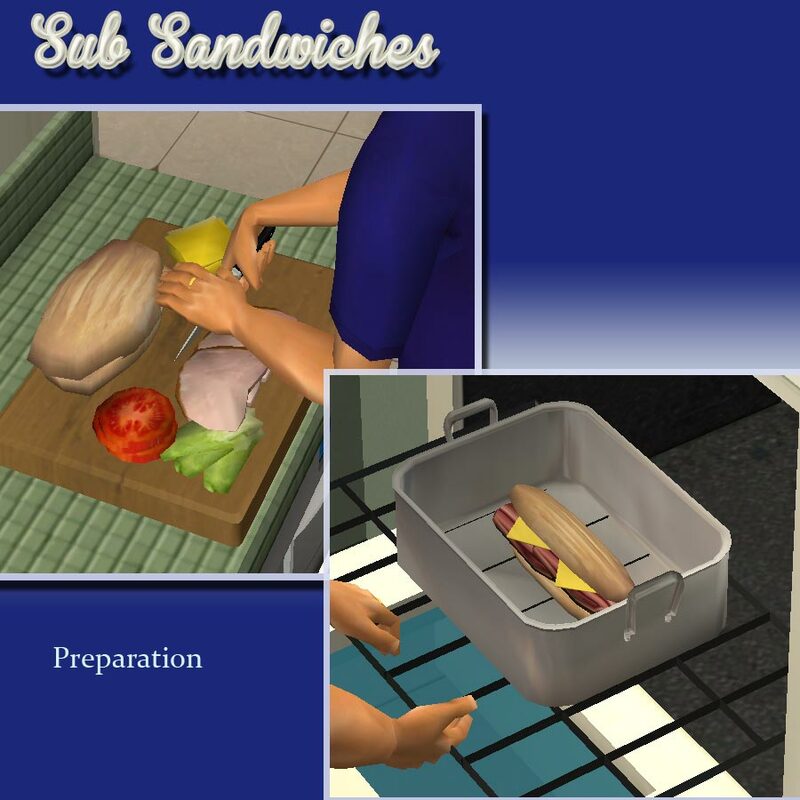 These subs are an additional set for sims2 gameplay and will not override any other files that is stored in the game. The tools that were used to create these meshes were adobe photoshop, milkshape 3D, Yahoo images, Google images, and SimPE.